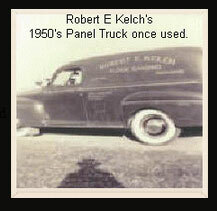 The Kelch family started the business in the late 1800’s. As a European decent and craftsmen, wood floors became their passion. The name and the quality have lived up to the hardwood floor business. As a company in the hardwood flooring industry, our name has grown over 6 family generations. Providing services beyond expectation, from floor sanding, staining, trims, stairs, to floor care and even custom installations, we will make your hardwood floor dreams come true. As our business has grown, our equipment has grown as well. We will provide expert installation and care on your hardwood floors on any of the services we offer. Now more than ever, it’s crucial to do the job right, and with our up-to-date dust-free equipment, we do just that. 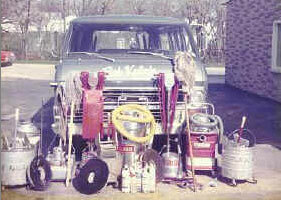 The image to the left represents the equipment and Ford Van 1970’s Ford Van used in the 70s.